Tippi Thole There are simple lifestyle changes to make to dramatically cut down on your waste. To reduce personal waste, Tippi Thole suggests making these swaps. Thole replaced her 10-gallon can with a small wastebasket that had been under her bathroom sink and started to change the way she shopped and lived. 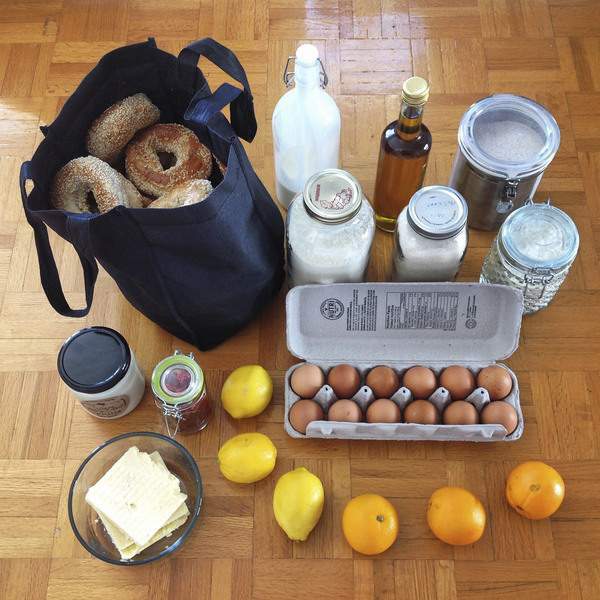 Within 14 weeks, the family's weekly trash fit into a 21/2-inch-tall Mason jar. With room to spare. When Thole, a 41-year-old freelance graphic designer who lives near Montreal, examined her trash, she discovered that most of it was food packaging. Now she buys her edibles at farmers markets and bulk-food stores, and she belongs to a farm cooperative – all places that provide unpackaged food. Johnson makes her own makeup, lip balm, blush (from cocoa powder), mascara and shampoo. Her efforts to replace toilet paper were not so smooth. “Moss was fine at first but dried out quickly and was like wiping with a scouring pad,” she laughs. Now they use toilet paper that comes wrapped in compostable paper. “I know what people are thinking,” Johnson says. “Not so long ago, I was that person. We thought it would be super extreme – you know, 'I don't have time for this' – but it's the opposite. We have more time. Thole has shared her philosophy with others, which helps them understand why she pulls a reusable “doggie bag” out of her purse at the end of a meal.